Yahoo released an iPhone app that weaves in story summarising software bought from a London schoolboy last month for a sum reported to be around $30 million (£20 million). 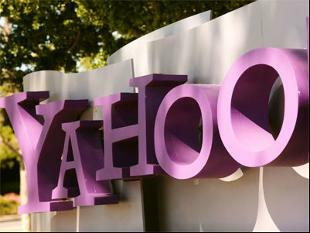 The Yahoo app that was made available in the United States for use on iPhones and iPod touch devices uses natural-language algorithms and machine learning from freshly-acquired Summly "to deliver quick story summaries." "We acquired Summly less than a month ago, and we're thrilled to introduce this game-changing technology in our first mobile application," Yahoo! chief executive Marissa Mayer said in a release. California-based Yahoo announced in March that it bought the Summly app created by 17-year-old Nick D'Aloisio of Britain but did not disclose the purchase price. D'Aloisio dreamed up Summly while preparing for a history exam when he was 15. His big breakthrough came in 2011 when D'Aloisio launched Summly's forerunner Trimit, which cut down long web articles to tweet-length summaries. The app received positive reviews from tech blogs; racked up tens of thousands of downloads, and caught the attention of investors. D'Aloisio took up a job in Yahoo's London office. "I'll be integrating the Summly technology into different areas we feel are appropriate for Yahoo, and more broadly helping them with their mobile product design," he told AFP in an interview last month. "The new Yahoo app has both great technology and beautiful design front and center," Mayer said. "We've also improved the search experience with better video and image search."